Not just your skin, but the underlying fat, bone and muscles too undergo changes with age. The facial aging process is broadly a sum of reduction in deep fat, loss of skin collagen and resorption of the skull. 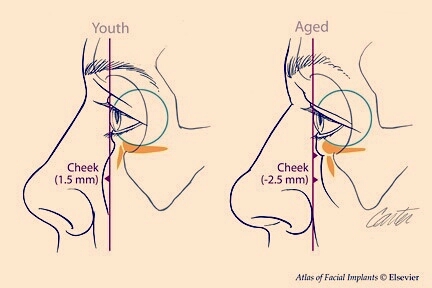 ⏰ When this happens in the #cheek it loses #youthful fullness and projection, instead becoming saggy and gaunt. This in turn leads to the formation of #lines and folds around the #nose & #mouth.✨💉The use of #fillers for #cheekaugmentation, reverses the element of #fat and bone change due to aging. At Juverne we #design combination treatment programs to address each change simultaneously, for better long term #results.